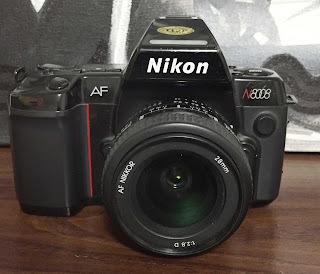 I picked up this cool 35mm Nikon N8008 SLR about 6 months ago. 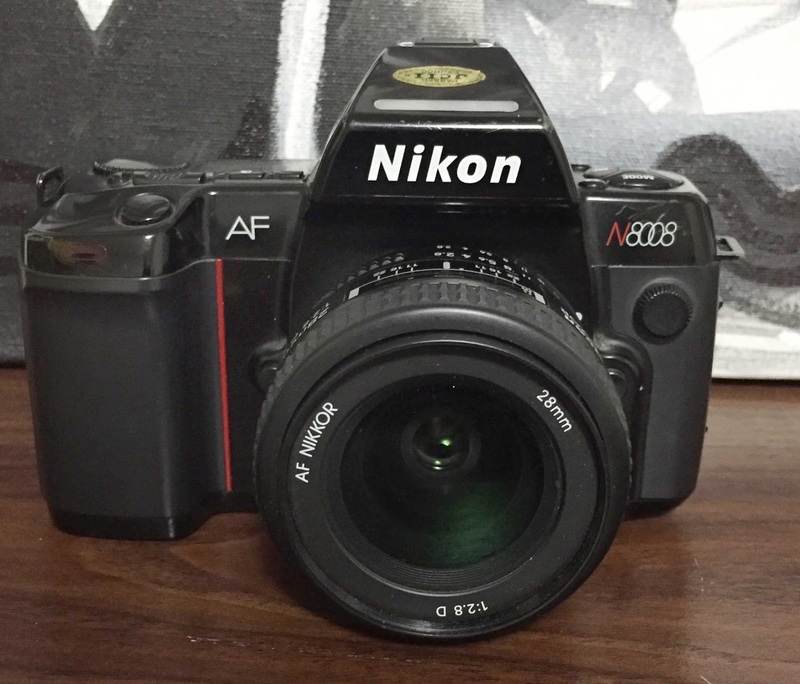 I'm a digital Nikon shooter in studio, so I have a natural affinity to Nikons. It is a classic SLR film camera. Easy in your hand and fairly light weight. 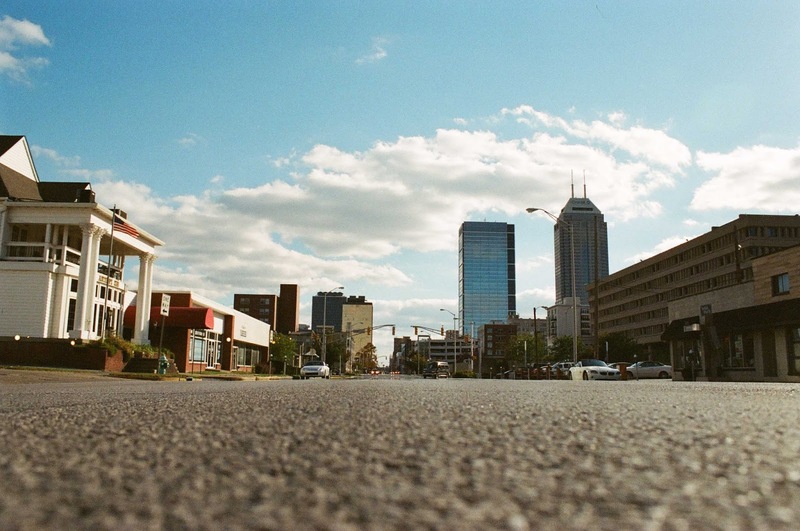 I decided to use it in studio during a model shoot and later while walking around downtown Indianapolis. OK, I loaded it up with a roll of Kodak 400 color print film and mounted an old Nikon 28mm f/2.8 lens. I've had that lens for who knows how long...years. Off I go. For this shoot I used aperture priority and matrix metering. The camera focused very quickly and the shutter slap is very apparent. The light meter seemed very true, but I didn't confirm it with my external meter. Not stealthy at all. I really think I'll enjoy using this camera regularly. Here are some photos of my model Emmy Lindgren in studio and a shot in downtown Indianapolis near my studio. I simply set the camera on the street. Why? Why not.